We studied out a lot of different siding options. We really liked the hand-hewn chinked log look from one of our inspiration houses, but the faux log siding was both expensive and impractical. 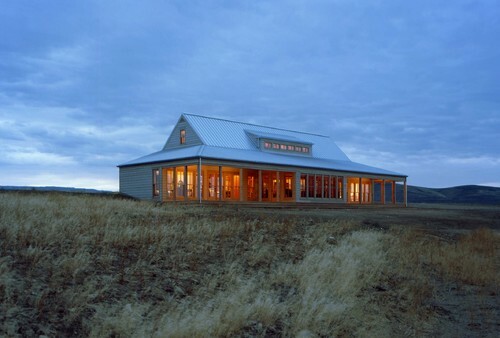 We also liked the natural look from another of our inspiration houses. We had a few criteria. 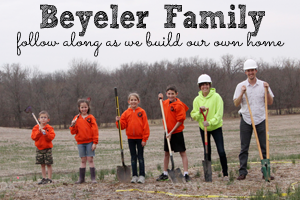 First, the exterior needed to fit the rural, country setting. Second, it had to fit our budget. Third, it had to be something that I could put on myself. And fourth, we wanted it to be as maintenance free as possible. Unfortunately, those criteria are not always found in the same product. 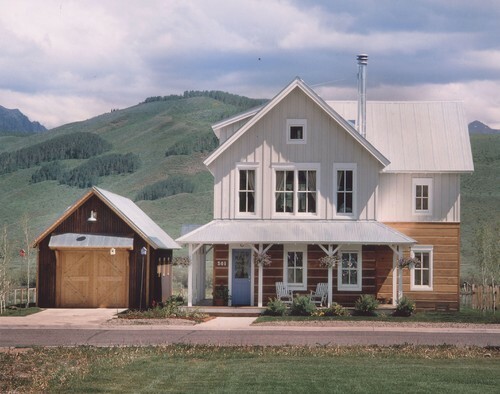 We looked at faux log siding, cedar siding, LP SmartSide, vinyl, fiber cement board, and others. We liked the look of the faux log siding and considered making it ourselves, but the cost, longevity, and amount of labor required talked us out if it. We ruled out vinyl as it's not really the look and feel we wanted. Fiber cement was supposedly too difficult to install. That left LP SmartSide and cedar siding. We we decided to go with both. The cedar siding fits the natural, rural feel we're after, but it also doesn't weather well. So we decided to put it on the areas of our house that are covered by porch overhangs: the two front porches and the back porch/deck wall. We also will put it on the east garage wall to give the house a consistent feel. the kitchen area, gable ends, and dormer will have LP SmartSide in a board and batten look. The west wall and south garage wall, both of which will take a sun beating, will also be in the board and batten look. 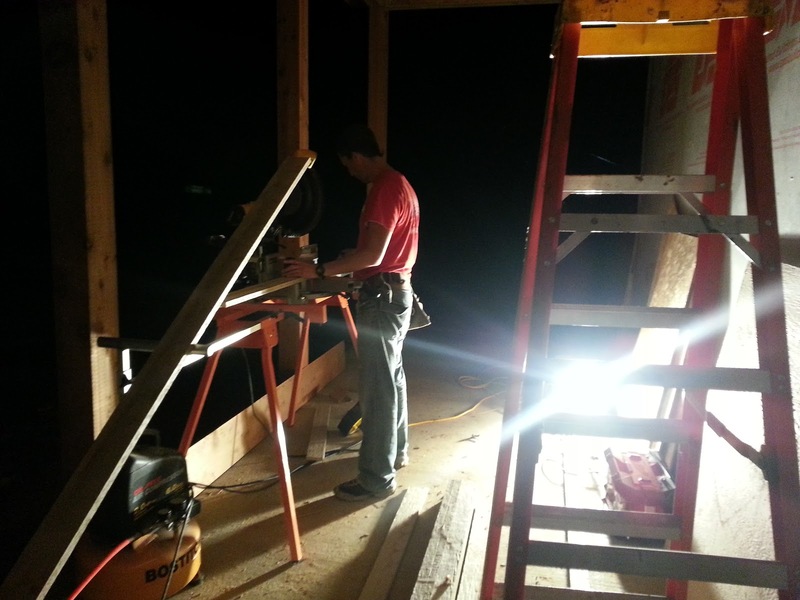 We're achieving the board and batten look by using 4x8 sheets of soffit sheeting and 1x3 LP SmartTrim boards. 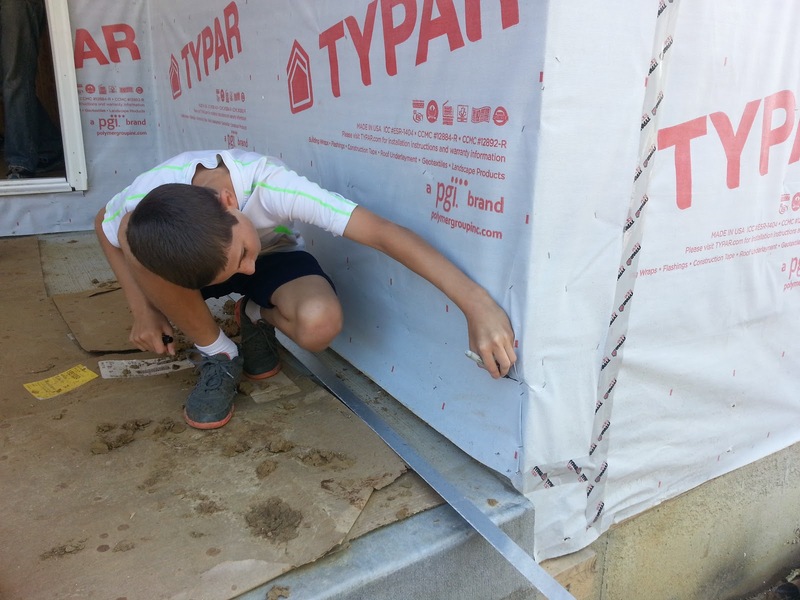 Reed helped get the drip edge lined up along the bottom of the siding area before we put the first run up. 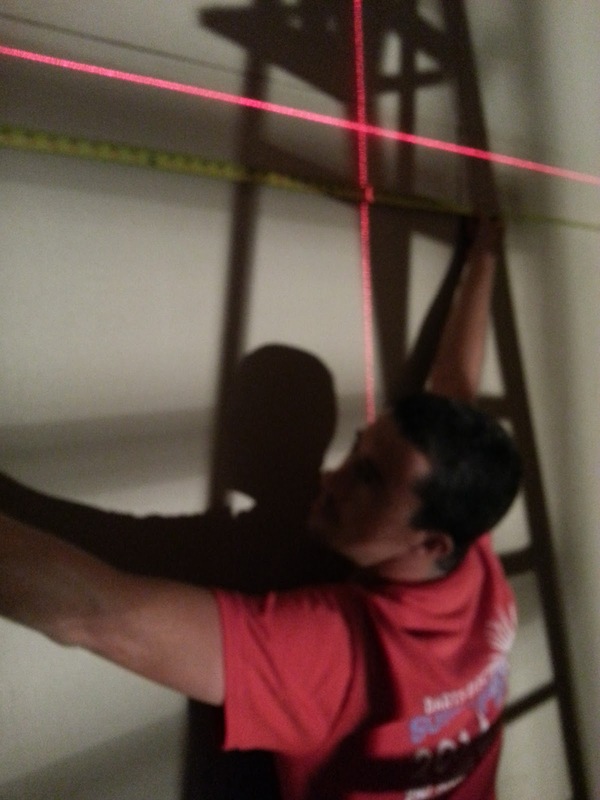 I used a self-leveling laser level to line up the trim boards that we were using to create the board and batten look. 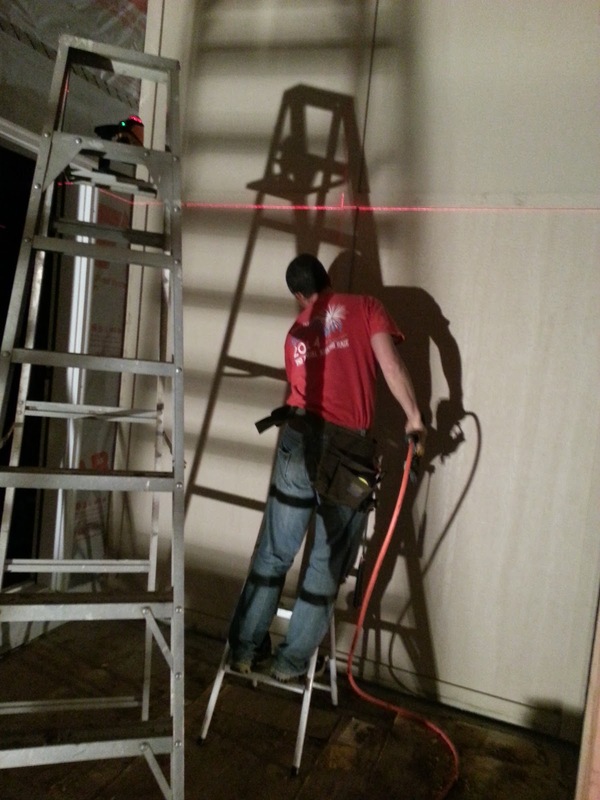 It helped that we were working after dark, as the laser lines are much more visible than they are during the day.